With apple season upon us, I thought what better way to celebrate than with an apple and pumpkin recipe? So, I decided on some Apple Pumpkin Pup-Cakes! These “pup” cakes are the perfect way to get some in-season apples into your dog’s diet, along with another autumn staple – pumpkin – and other delicious ingredients to support your canine companion’s health. Start by preheating the oven to 350 degrees F and lining a muffin tin with muffins liners. Next, combine all the dry ingredients together in a mixing bowl. Add in the pumpkin, apple, applesauce, flax egg, water, and maple syrup and stir well. Pour the mixture into the lined muffin tins and bake for 25-30 minutes or until a toothpick inserted into the center comes out clean. Allow the cupcakes to completely cool before removing them from the pan. Top with pure pumpkin puree if desired and store leftovers in the fridge. 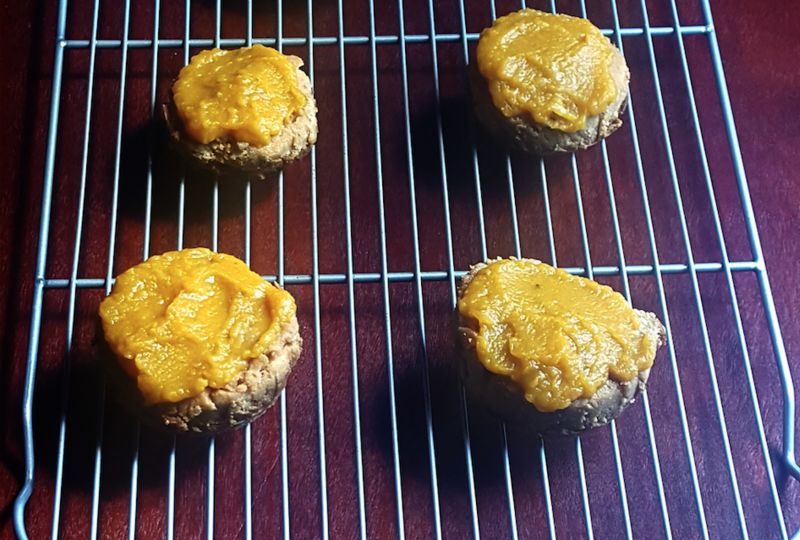 Try these Apple Pumpkin Pup-Cakes and let us know how your dog enjoyed them!